The House of Flowers is as dramatic, comical and captivating as you could hope. Follow the De La Mora household and their flower shop, which turns out to share the name of a cabaret secretly owned by the father of the family. Full of family dysfunction – something we are all too familiar with – and how unconditional love and solidarity can overcome it all. 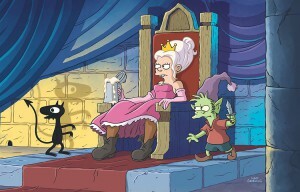 Fans of quirky animated comedies with an adult twist – take The Simpsons, Futurama and Rick and Morty – will be a fan of new Matt Groening show Disenchantment. Follow the adventures of hard-drinking Princess Bean (Abbi Jacobson), her elf Elfo (Nat Faxon), and personal demon Luci (Eric Andre), and be wowed into a new era of cartoon craziness. 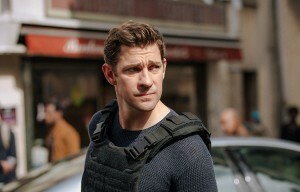 The Office’s John Krasinki will be debuting as Jack Ryan this summer in a crime and action-packed drama about an up-and-coming C.I.A agent thrown into his first field assignment. As the protagonist uncovers a pattern in terrorist communication he’s drawn into the centre of a very dangerous plot. You’ll be on the edge of your seat throughout this eight-episode series. If you thought there weren’t enough Marvel films out, fear not: they have released another sequel. 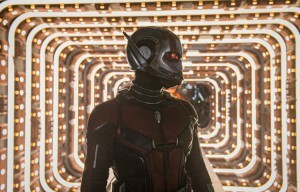 Lovable Paul Rudd is back on the big screen as Scott Lang, and although the superhero was ready to settle down into fatherhood, it turns out it’s not going to be that easy. When he’s confronted with an urgent new mission, the suit must come back on as he works alongside The Wasp to uncover a past of hidden secrets. From the producer who brought you Stranger Things, The Darkest Minds merges themes of the young X-men in a dystopian world where those under the age of 18 are detained by the government after mysteriously developing a range of powerful abilities. Put into youth camps, some of the adolescents escape and form a group of runaways on a mission to reclaim their future. 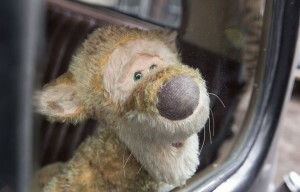 Childhood favourite Winnie the Pooh and his good friend Christopher Robin return in a heart-warming film which centres on the grown-up titular character (Ewan McGregor) who rekindles his old friendship with Pooh as they embark on a mission to find his lost pals. With a dose of humour, nostalgia and McGregor, what’s not to love? Rediscover the joys of life with this family film. Based on the novel by Emily Danforth and having premiered at Sundance Film Festival, this is a touching story that sheds light on the harsh realities of discrimination in sexuality. Set in the States during 1993, a young girl is forced into a gay conversion therapy centre by her conservative guardians. Featuring Chloe Grace Moretz in one of her best roles yet, this film will send you away both smiling and sobbing.